Madman has lied in the past and continues. He is the reason I left the AAWC Cab, because of his lies and slander. His attempt to profit from AAWC failed. The first image is madman claiming he moved a post. Huge error on his part. 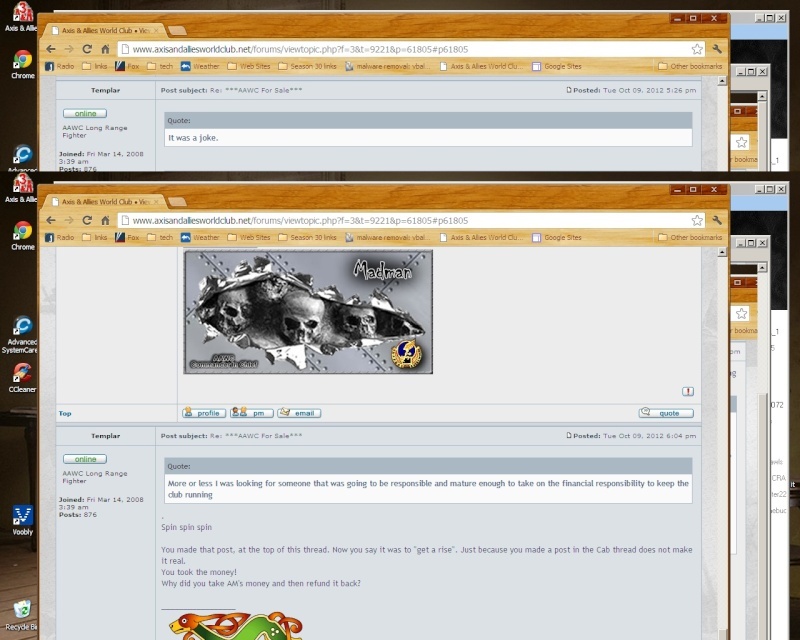 I was the moderator of a team thread, so I could see all the actions taken on the message board. I took a screen shot. Why? Madman has slandered and lied about me to others in the past. In self defence, I take screen shots. In the "AAWC for Sale" thread, he challenged me to prove it again. 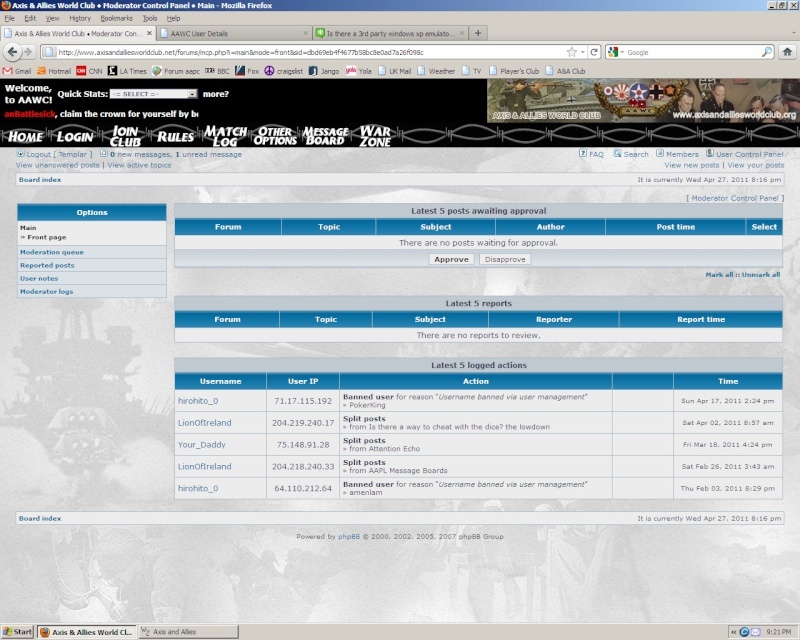 The second image is of the moderators control panel, showing who really moved the thread. Why lie? Well, basically he wanted to continue to destroy my reputation by labeling me as a false poster. He only hung himself. The third image is from the AAWC for Sale thread. It has been hidden also. Madman tried to sell it to AM, but was caught. 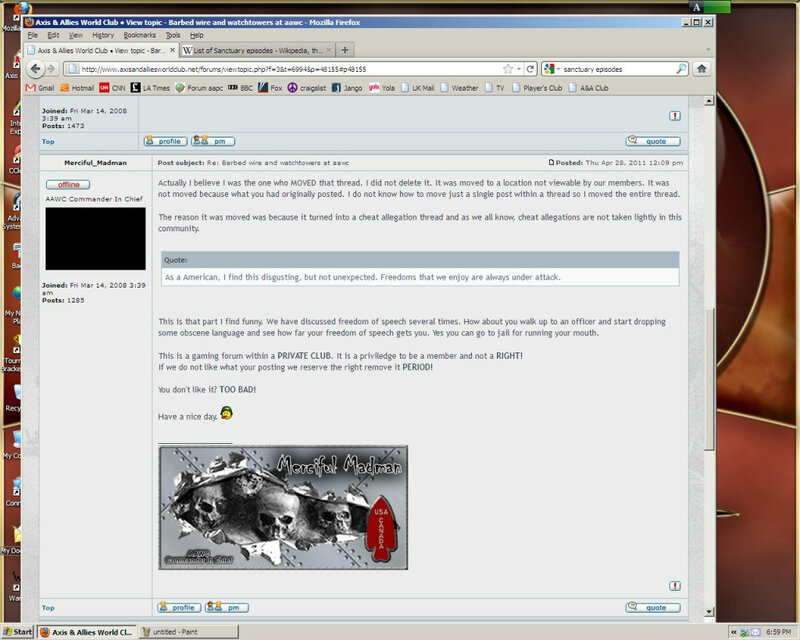 The thread, was hidden because his lies were pretty apparent and his attitude toward club members. He first claimed it was a "joke" then changed it to, "he was looking for someone to run the club". He is a bully and lies. 'AAWC for Sale" screen shot. Yes, madman has served the club for many years. His service is appreciated but his character is not.